This Green Hackathon brought the event back to Stockholm and the Reactor Hall at KTH, this time with the theme of food. We invited developers, researchers, designers, retailers, food producers, to get together and prototype solutions for a more sustainable food system. The Green Hackathon started with a keynote from Jorge Zapico who is the co-founder of the Green Hackathon initiative and works as a researcher and part-time vegetable farmer. He introduced the idea of the hackathon and a short background on the sustainability challenges of food production. The starting point of the event was that food production and consumption have become a major driver behind environmental degradation, such as climate change, biodiversity loss and degradation of land and freshwater. Agriculture must be transformed to be sustainable and must deliver sufficient amounts of food for the growing population (both through increased efficiency and dietary changes) and also cut greenhouse gas emissions; counteract biodiversity loss; reduce water use and phase out pollution from agricultural chemicals. The participants of the hackathon were a mix of researchers, designers, programmer, problem owners and innovators. The keynote was followed by a time for team building and networking time, with “speed dating” to get the participants to know each other and their respective field of expertise and to generate ideas. After some ideas crystallised into groups, the hackathon started and the groups had around seven hours to build their concepts and prototypes. This hackathon was organized by the Centre for Sustainable Communications at KTH, as part of the project From Data to Sustainable Practices, in collaboration with COOP Sverige and supported by OKFN Sweden & Open Sustainability WG. 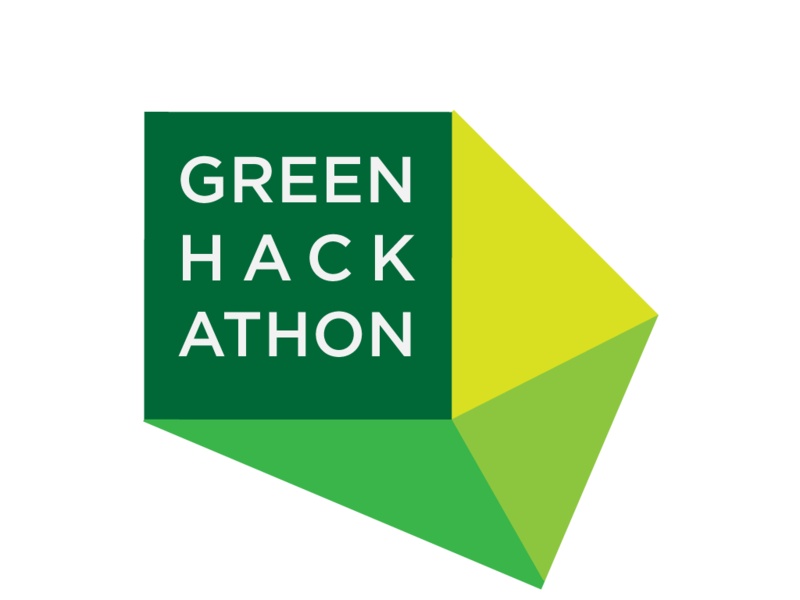 The Green Hackathon was located at R1, the dismantled underground nuclear reactor hall under KTH campus in Stockholm. Eat Exchange is a mobile application, which allows local community to share food that would have been wasted. The application would enable individuals to advertise the food that they wouldn’t be able to consume. Then the supply of spare food would be collected by the members of the community who would otherwise need to buy it. Made by: Christopher Weeks, Daniel Schien, Pernilla Hagbert, Friedrich Chasin, Ole Schultz, Tipa Stefan, Theodorou Sophy-Emmanouela. More info. By: Sotiris Salloumis, Gaye Georgia, Johan Zetterquist, Jacky Bourgeois, Sophie Uesson, John Chang. A web interface for urban fruit initiative, an existing project which connects homeowners with apple trees with pickers and produces apple juice. The prototype provide an easier way to register and broker the connection between the two groups. Made by: Richard Blume, Mrhetab Kidane, Andrew Kobylin. More info. A planning tool to calculate the amount of different crops to grow in a given field connected to yield and revenue. Made by: Jorge Zapico. More info. A web prototype application which try to tackle the the gap in consumer awereness by recommending recipes based on seasonality. Made by: Sevag Balkorkian, Samuel Chinenyeze, Haftom Tesfay. More info.